...but that was Xiaomi's economical line up. The inner flagship snob in me wants to look at something a little more 'up there' for specs. An 'affordable' device just may not cut it for me. 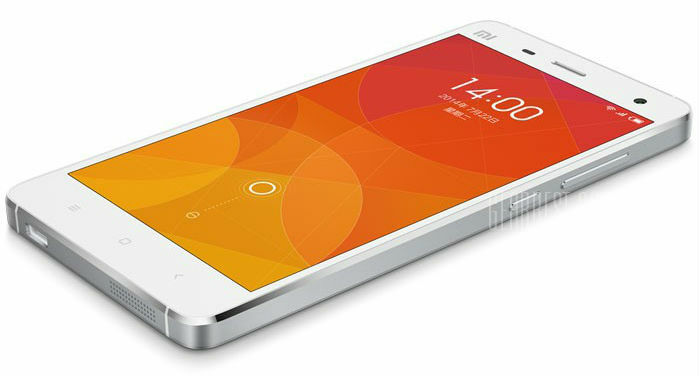 Well, this is where the Mi4 might be more my style. It's definitely more... about double the Redmi; weighing in at ~$387.32CDN (but keep in mind that it's also FREE SHIPPING). That's not a bad set up right there. Without the 1080p it'd be pretty much my G3. 2.5GHz quadcore on a Snapdragon 801 and 3GB of RAM. Which, my G3 still blazes along quite well; so I doubt I'd notice any performance difference. MIUI 7 is coming out soon, so I can't see that they'd omit this device from the eligible devices for update. As the device is unlocked it should work with just about any carrier... if you're unsure, Gearbest.com has linked to a 'checker', visit their page here to see what band your carrier uses and then check it with the site info to see that it's compatible. It may not have some of the newer features, like rapid charge, or Qi, but there should be negligible performance between it and a new flagship. It's not something that's in the 'impulse purchase' range, but when you look at this compared to, say, the OnePlus One or 2... it'll be cheaper... and probably just as close to performance. The reviews on the site seem pretty good, and it has me really tempted. What do you think? Something you'd give a whirl?